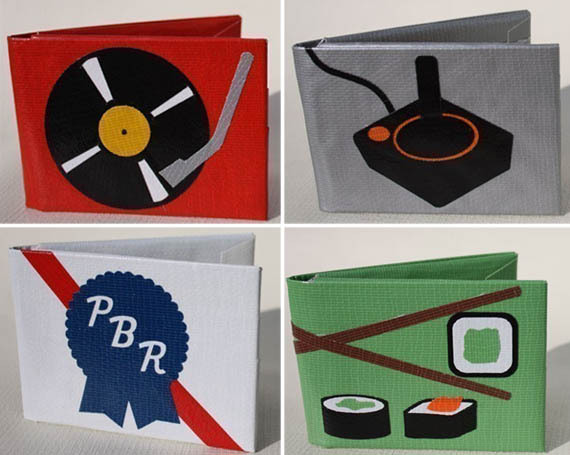 Duct tape wallets: OVER! – Next Hipster Trend is what's HAWT, NEXT! Hipsters love the idea of frugality and making something comment-worthy for all to admire. Hence the dawn and rapid dusk of duct tape wallets. Duct tape wallets enabled hipsters to show everyone just how utilitarian they were each and every time they bought a found object art piece to add a touch of whimsey to their heirloom tomato cottage garden. Unfortunately big box stores like Wal-Mart were on top of this trend and started selling them. Any hipster knows that once it appears on the selves of Wal-Mart, it is doomed to the likes of the randoms. Data suggests that duct tape wallets peaked in December of 2011 and have steadily dipped, proving that they are OVER! If you currently have a duct tape wallet go to the bathroom, empty out the eleven dollars, whole foods membership card, and the number of the mousey girl with the beret that you met at an exclusive club, and pocket it. Throw the wallet in the garbage. Possible replacements include: armadillo skin, plastic sandwich bag, and free-cycled mini pringles can.